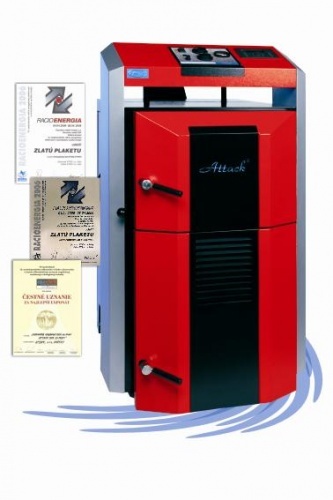 The DP 25 wood gasifying boiler is designed for the economical and ecological heating of family houses, bungalows, small plants, workshops and similar premises. The specified fuel for the DP 25 boiler is dry wood. When the feeding chamber is full, an approx. continuous combustion of 8 to 12 hours is possible.